While some good points are mentioned in the lesson, such as the importance of prayer, Bible study and personal evaluation, there are several subtle things put in the lesson that underscore the SDA theology and the importance of works, while not coming right out with the information. They use the word “member” instead of “believer” or “Christ-follower”. This is very telling, as they’re not out to convert people to Christianity, but to bring them into the “Seventh-day Adventist flock”. Because of their belief that they hold the only true message, by definition, they cannot work with evangelical Christians to bring others into the body of Christ, which includes Sunday-keeping. They teach a false gospel—one that contradicts many biblical fundamentals. Bringing others into a Sunday-keeping church would violate their core doctrine of The 3 Angels Message. This will be evidenced by good works; much like a tree will bear fruit when it’s healthy. This is very different from the works-oriented perspective of law-keeping. Sabbath/law-keeping is not mentioned in this list as something that will happen when a heart is right with God and is filled with the Spirit. Having The Fruit of the Spirit is not about trying harder, it’s about Christ’s transforming work in our life. When we’re truly born again, the fruit will be there—light and darkness cannot reside together. 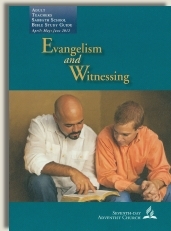 Seventh-day Adventists are out to convert “members” to their specific denomination. Because of the belief that they hold the only true message, by definition, they cannot work with evangelical Christians to bring others into the body of Christ. Bringing others into a Sunday-keeping church would violate their core doctrine of The 3 Angels Message. 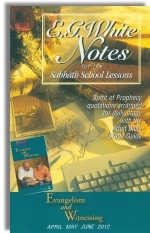 Sabbath/law-keeping is not mentioned in the list of the Fruit of the Spirit. When we’re truly born again, the fruit will be there—light and darkness cannot reside together.